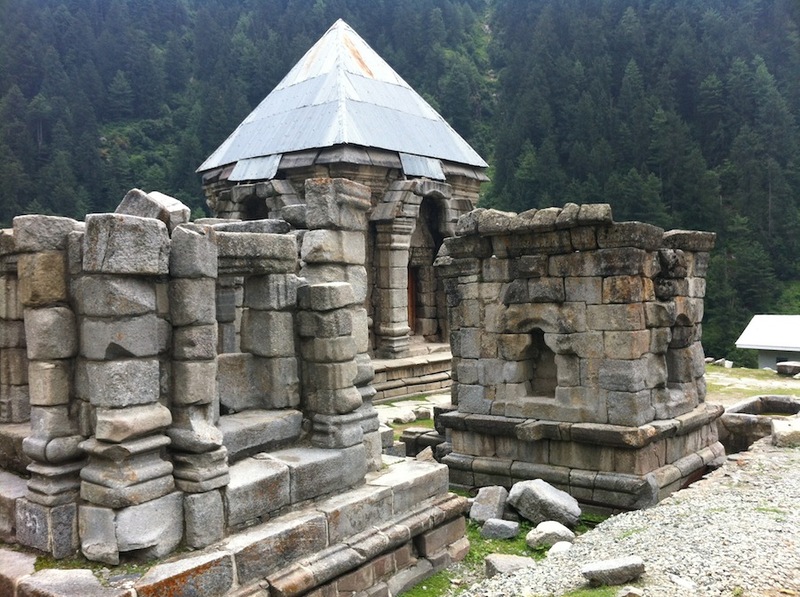 Naranag to Gangbal Lake trek – Kashmir | Travel Smart! Naranag is a beautiful village on the bank of Wangath river. It is located at 2 120 m above sea level and it is the departure point of the trek. From Naranag we walked about 4 hours to reach Tunkhul (number 1 on the map). Tunkhul is not a village. There are only two buildings of the government and some gypsies houses with big meadows, lots of cows and horses. 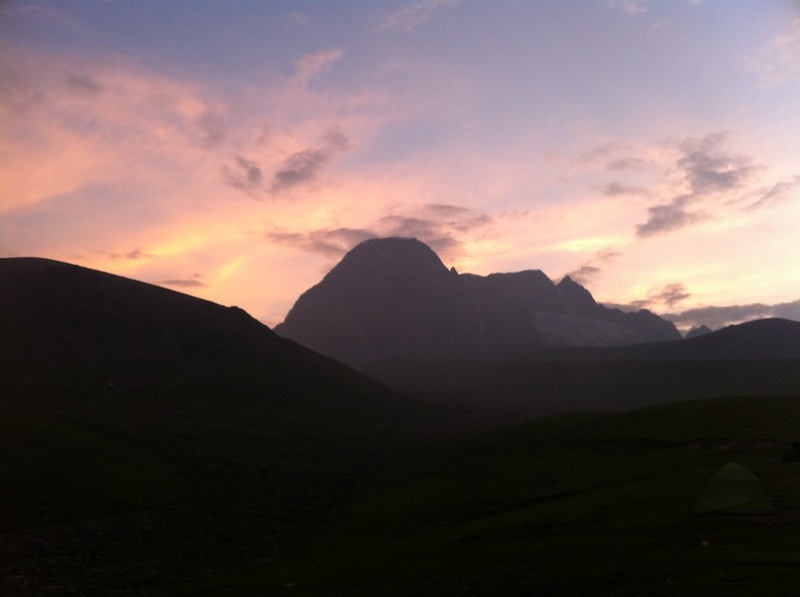 Mount Harmukh is one of highest peaks in the area (5 142 m), and water from its glaciers forms Gangbal lake. You can enjoy a wonderful view on the mountain from Tunkhul. We took many pictures of the mountain at different times of the day. Staying at Tunkhul is interesting because it is where many Kashmiri Gypsies settle for the summer. You can see them walking around with horses and bringing back their cows at the sunset. 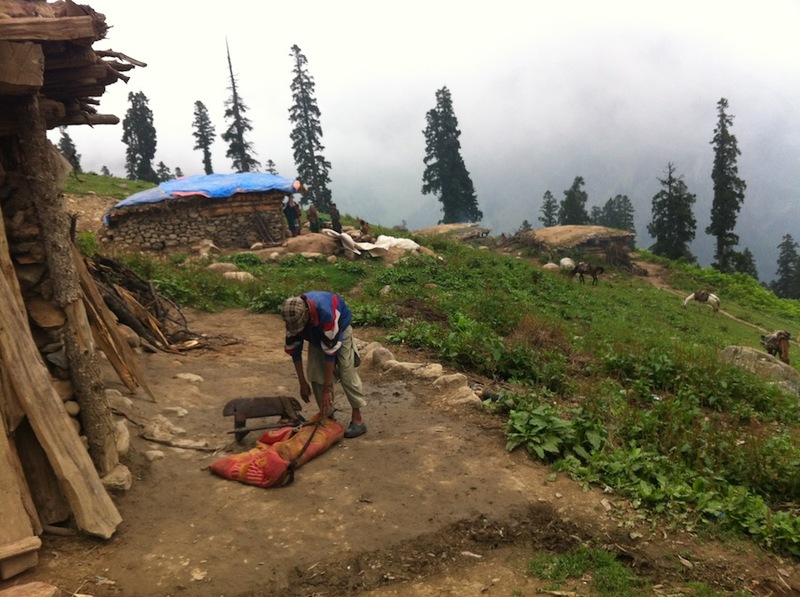 The Kashmiri Gypsies are semi-nomadic people living mainly in the high mountains of Kashmir. They have very simple and beautiful houses made only by natural materials like wood, stones and soil. They live mainly from animal trade and agriculture. In the winter, they move back to lower altitudes where they have winter houses. Gangabal lake is a beautiful big high altitude lake. Surface elevation: 3 575 m above sea level. The trek from Tunkhul to Gangbal lake takes around 1 to 2 hours. you can also put your tent directly around the lake area. We met Imtiaz as we arrived to Naranag. He provided us with a tent for our first night there. As we had only sleeping bags with us, the next day, Imtiaz charged a horse with the tent, a propane tank, blankets, food… and we left for 3 days til Gangbal lake. Imtiaz was 25 years old and is the father of two kids. He is a very good cook, calm, honest and simple person. He speaks good English and don’t hesitate to contact him if you need a horse man to go to Gangbal or other lakes in the area. He can provide lots of horses and is also equipped to handle big groups. or: 98 58 80 57 17. Price: Expect to pay around 1000 INR per day for two people. It includes the food, the tent, the horse…).